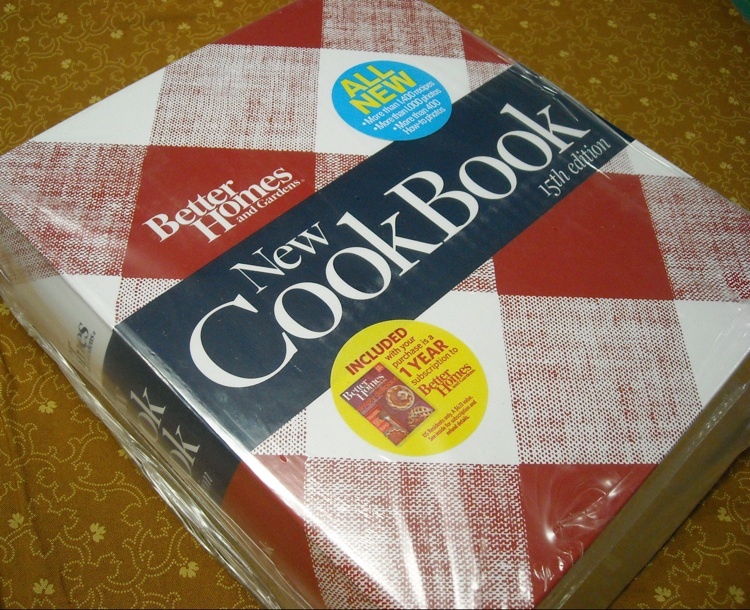 Time to announce the winner of the cookbook from the give-away. 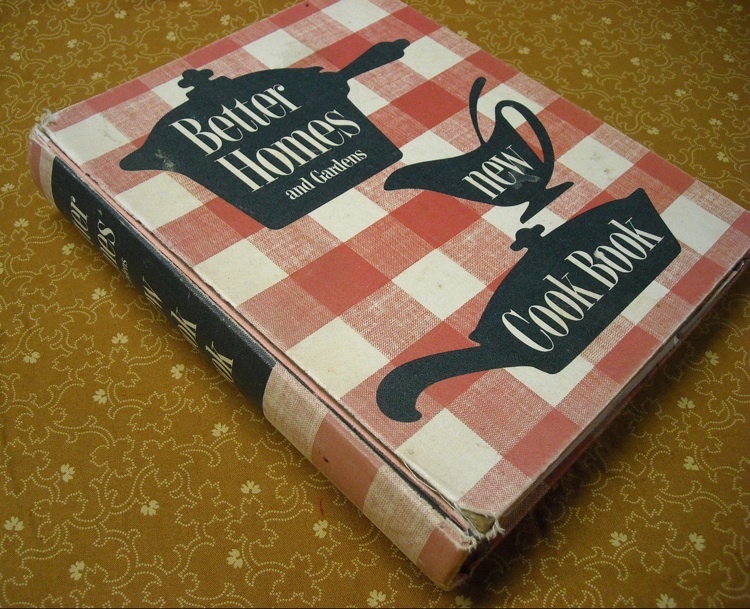 I know you’ll love this cookbook. I hope to be announcing soon what things I’ll be posting here along with the diary entries this year. I’ve got some work to do first . . . so stay tuned. And naturally, there will be more give-aways! Me & Larry stayed home today. I worked in the house as usual. Got peresents from Charlotte. I got a rose rayon blouse & a box of real cute stationary. Got a letter from Peg K. Wrote to her. Ahh, a chance to use the new stationery right off the bat. I think it’s funny how she describes the blouse she got. When I was 15, and got a piece of clothing as a gift, heck if I’da known that it was made of rayon! And she talks like she’s being held captive in the house as a slave: “I worked in the house as usual”. Poor thing! Today I’m offering up one last give-away prize for this year. Hazel’s copy, which I now proudly own (and still use), is from the sixth printing of the first edition, copyrighted 1953. For you, readers and participants, I’m offering up a brand spankin’ new copy of the same cookbook, which is still popular today. This one is the 15th edition, copyrighted 2010. All you have to do for your chance to win is leave a comment on this post. There are no automatic entries this time. I’ll draw for a winner on January 1 from all the comments received. Stayed home tonite and listened to radio. Mary Ann is wearing Charles Hearrolds ring. Wrote Jerry a card tonite. Me & Opal wrote letters to each other in study hall & cit. fen. Mary Ann is wearing Charles Hearrold’s ring?!?! Five days ago she liked Donald Cross!! Today’s the day I promised to announce the winner of the second Diary give-away. It is . . .
shirt & pigtail day – All the high school girls wore shirts & pigtails & neckties today, cause it was RoseAnns last day. Mom started puttin lights on the Xmas tree tonite. She got off work at noon. Grandma & pa came by tonite. Decorating the Christmas tree. I’m sure it had to be one that Vern cut down and brought home. The artificial ones weren’t quite the thing back then yet. But, once they were, Mildred had one of the most beautiful artificial trees that I had ever seen when I was a little girl. It was completely silver and very shiny. She had a lighted color wheel that she shone on it that made the tree constantly change colors. She used that tree for years and years. It was really quite sad when she switched to a green tree. I’ll never forget the silver one . . .
Today I’m having another give-away. 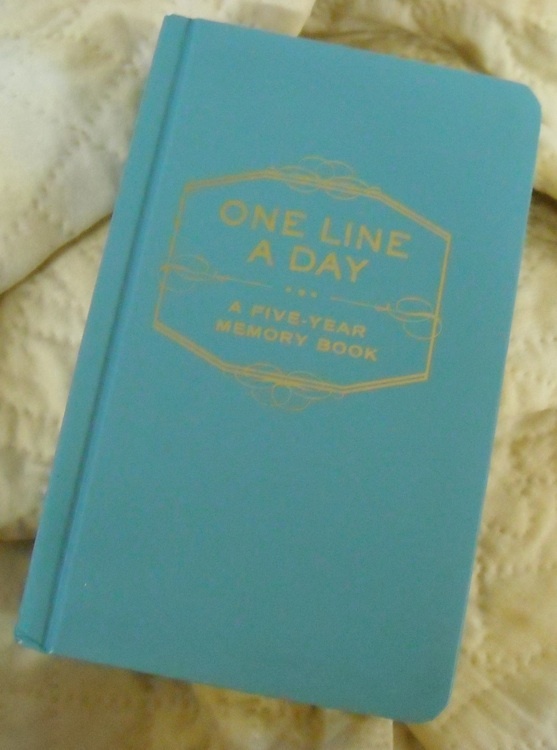 I’m giving away one more of these cute little Five-Year Line-A-Day Memory books, so if you didn’t win one in the first round, you still have one more chance. Entries work like last time. You MUST leave a comment on this post to be entered. No automatic entries for this one. I’ll draw for a winner on December 17. Went up to sale barn tonite. Had gobs of fun cause Opal was there. Bob Deritter came in, too. Jim, RoseAnn & Linda came in also. Seniors got thier picture proofs today, I think. It’s good to see that Bob Deridder is still cute enough to be worthy of mention . . .
Today I’m drawing for the give-away winner. Stay tuned for tomorrow. There’s another give-away coming . . . Went to “Bushel of Fun” nite at C.H.S. tonite. Bob Muncy is back. He’s a doll and I saw him tonite. There is a new girl in the 8th grade. I think her name is Shirley Hobbs. She’s cute. Exciting times at the school today. I don’t know who Bob Muncy is or where he’s been . . . she’s never mentioned him before now. We’re taking a couple more days off before we do the final border on the quilt, but that will give you time to get caught up on your inner borders, if you’re not quite done with those yet. Therefore, I think it’s a good time to have one of our final give-aways. I’m handling entries for this one a little different than the others, because I consider this to be a more special prize than the others . . .
I’m giving away this little diary . . . a modern version of one like Hazel used. If you’ve been inspired by the diary to leave your own tidbits for those who come after, this is the perfect way to get started. It’s a Five-Year Line-A-Day memory book, and you can fill it with memories of your own. Someday, maybe your kids and grandkids will be chuckling over what YOU wrote! To enter to win this give-away prize, leave a comment on this post. There are NO automatic entries this time. You don’t have to be a participant to enter, but if you want to win this, you MUST leave a comment. I’m drawing the winner only from the comments received. I’ll draw the winner from all comments received by Monday, December 6. That way if you’re behind on reading or busy with the holidays, you’ll still have plenty of time to get your comment posted. Daddy & the boys went to church tonite. Ruby & Babs was here with me & Moma. Me & MaryAnn went up to Hippers to dance at noon & that coke boy (Jerry-somthin) played Detour for us. Ha. Revival is going on at church. I guess the boys needed more religion than the girls? So, it’s noon when they go dance . . . I guess they’re allowed to leave school. And now I don’t know if the place is really called “Hopper’s” or “Hipper’s”. I’ll have to ask Opal. I see “Detour” is still their favorite song, and the coke boy is still obliging them. It must be a good one to dance to . . .
Today, I need to announce the give-away winner. The winner of the candle box (with some goodies stashed inside) is . . .
Congratulations, Barb! There will be a couple more big give-aways before we’re through, so don’t despair if you haven’t won anything yet. And because my day (actually, several of the last few days) hasn’t gone as planned, I’m not posting what I said I would today, so it’s another day of break. We’re almost done, anyway . . . we’ve got time to kill, right? Hopefully, I’ll get my act together for tomorrow, though, or things will really be headed downhill!